Lincoln Memorial University was founded in 1897 out of love and respect for Abraham Lincoln and today honors his name, values, and spirit. 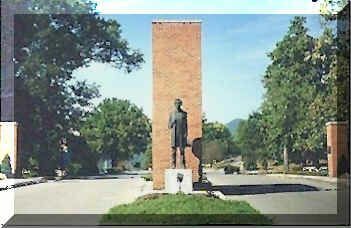 As the legend goes, in 1863 Lincoln suggested to General O. O. Howard, a Union officer, that when the Civil War ended he hoped General Howard would organize a great university for the people of the Cumberland Gap. The 1,000 acre campus, located adjacent to the Cumberland Gap National Park, is one of the most beautiful in the Nation. The National Society awards an Annual Endowed Scholarship to an entering Freshman who is a United States citizen, a graduate of a local high school in the tri-state area and a History major.